Your journey to towing comfort begins here! 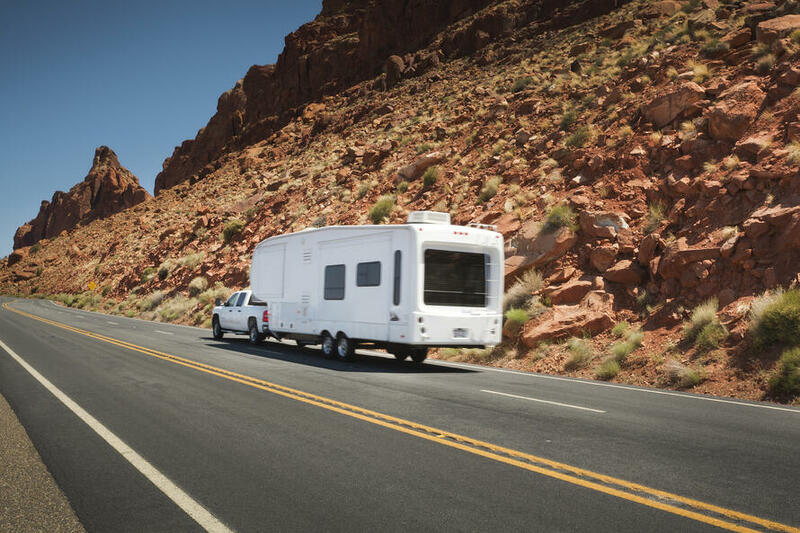 On average, over half of all new RVers sell 5th wheel trailers within two years of their purchase...and at a huge loss. Why? To put it bluntly: they're tired of the rough ride inherent in the 5th wheel trailer. Let's face it, most of us have never driven anything longer that a pick-up truck and, if we've towed anything, it was probably a 12' cargo trailer that you used to move your brother-in-law's furniture to his new apartment. That's a far cry from a 5th wheel trailer that can range from 24' to 45' feet and weigh close to 20,000lbs. It's intimidating, but it doesn't have to be. After you watch our 5 minute DVD and read through the information packet we'll send you, you'll learn that towing can be a comfortable, enjoyable experience, not hard work. What causes a 5th wheel to ride so rough. What kind of long term damage results from this rough ride. Why the trailer hitch is the most important piece of your rig, and why you should never settle for what the dealer "throws in". How you can enjoy RVing for years to come, long after the kids have grown and long after the trailer's paid for. Yes, I hate filling out forms, too. Rest assured, we're a company that values our personal relationships with our customers. We'll never share your information. Our only desire is that you make an informed decision about your trailer and hitch purchase. Simply provide your mailing information to the right and you'll receive your DVD and information package within a week. You can also call 1-800-410-6580 with your questions.